The Boise Area Branch was formed in 1909 and originally named the College Women’s Club. Jane Hoover served as the first president. At that time, the national organization was called the Association of Collegiate Alumnae (ACA), and in 1910 a delegate was sent to the national convention in Denver, Colorado. 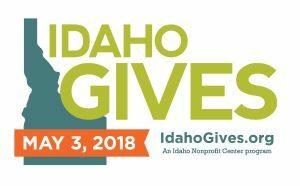 Over the years, the branch has been a powerful voice for equity in Idaho’s capital city. The branch meets monthly, September through May. Elected officers for the 2018-2019 term are: Kay Reed and Kathy Scott, co-presidents; Linda Simmons, president-elect; Andy Gibson and David Scott, membership co-vice presidents; Norma Lloyd and Carolyn Moore, program co-vice presidents; Jaime Moss, finance officer; and Mary Ruckh, secretary. Find complete board information on our Contact page. Over the years, members have developed a number of eclectic interest groups, which bring like-minded women together to address cultural and social topics, and to have fun! See the Interest Groups page for more information and get in on the fun. Upcoming programs will be posted to the Boise Branch Calendar as they become available; time and location are added as they are confirmed. For more information, consult the most recent newsletter, posted in the sidebar. Visit our About page to learn more about us and what we do, and read more about the branch’s community involvement and public policy work on our Special Projects page. 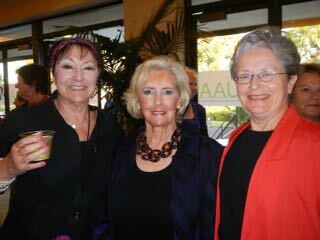 Three generations of Boise AAUW women! State conventions are held every two years, hosted by an Idaho branch. The 2016 AAUW Idaho Convention was hosted by the AAUW Coeur d’Alene Branch. 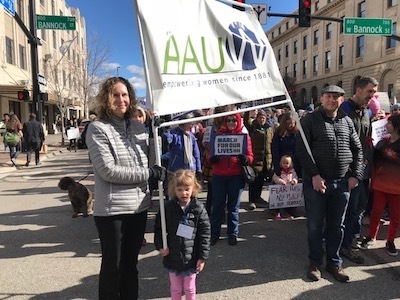 The Boise Area Branch hosted the 2018 convention. 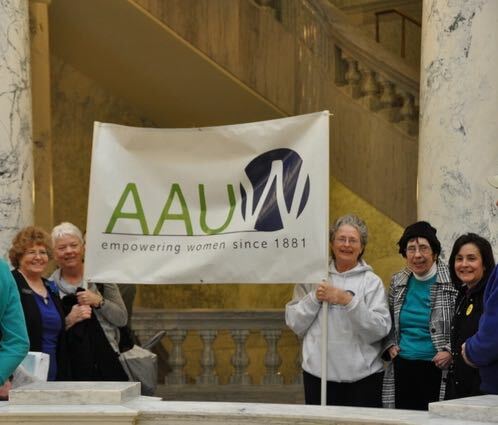 Find state and national convention information on our AAUW Idaho website or the AAUW Idaho Calendar page. A very special THANK YOU to all those who contributed on May 3 (and beyond) to fund girls’ attendance at STEM camps. Woo hoo! 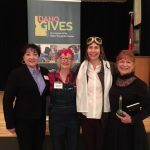 The branch raised $1,147 in our first year’s Idaho Gives effort! 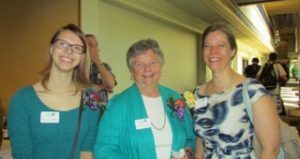 In addition to funds raised on May 3, the branch raised STEM dollars through other successful and innovative fundraising activities. 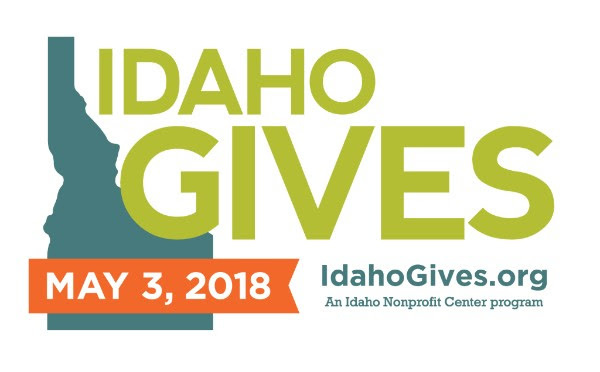 On Wednesday, May 30, 2018, a check for $9,383.16 from AAUW Boise Area Branch was matched by $10,000 from Idaho STEM Action Center. 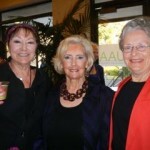 AAUW & STEM AC contributed a joint amount of $1,200 to ACE Aviation for 20 aviation camp scholarships for teen girls. We jointly contributed $18,183.13 to Girl Scouts of the Silver Sage. Eighty percent of those funds funded STEM camp scholarships, the remaining twenty percent was donated to their new STEM Resource Room that is currently in the planning stages. You may still donate to this project on our Special Projects page. In collaboration with the Girl Scouts of the Silver Sage, our goal was to send as many deserving girls as we can to their “Real Life Wonder Woman” weeklong STEM learning adventure. Ace Aviation and Ace Academy Living Lab, in collaboration with Boise State University, introduces our sponsored teenage girls to the world of flying and aerodynamics. Check out the Ace Academy Living Lab video here: https://www.youtube.com/watch?v=x9ydsLmkOsQ. Let’s train girls to fly!! 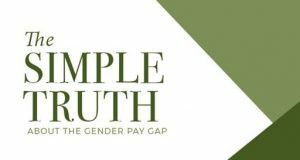 You’ve probably heard that men are paid more than women are paid over their lifetimes. But what does that mean? Are women paid less because they choose lower-paying jobs? AAUW’s The Simple Truth about the Gender Pay Gap succinctly addresses these issues by going beyond the widely reported 80 percent statistic. 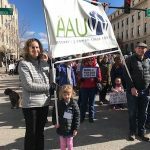 April 10, 2018 (Equal Pay Day) has come and gone, but the fight for fair pay carries on. 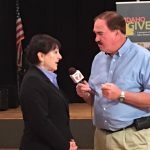 Read the 2018 Public News Service article about the dismal state of Idaho’s pay gap with quotes from former Boise Area Branch President Sylvia Chariton.